The latest nutrient-rich restaurant concept to make a splash in the fast casual dining scene, is expanding to Central Florida and bringing their delicious foods and job opportunities to Lake Nona, Winter Park, and UCF. Created by Chris Gannon and his father Tim Gannon, co-founder of Outback Steakhouse, Bolay with its "so fresh, so bold" motto invites food lovers of all ages to build and customize their own nutrient rich bols packed with superfoods and savory proteins. Bolay is thrilled to be expanding into the hospitality heart of the state with the opening of new locations in Lake Nona in early September, Winter Park in February of 2019, and UCF in Q2 2019. Angela Gutierrez will be Operating Partner for the Lake Nona store located at 12711 Narcoossee Road, Suite 120. She feels that this is the perfect next move for the booming brand. “The demographic here in central Florida aligns perfectly with our brand - active, young-minded and health conscious. Bolay is a brand that really believes in building community and we know it’s going to fit right in to Lake Nona,” says Gutierrez. Bolay offers a gluten-free, build-your-own-bowl menu along with delicious cold-pressed juices. Superfoods like kale, quinoa, and spinach are staples, as are top-quality protein options, including Steak Au Jus and Ahi tuna. The brand collaborates with some of the best chefs in the country to bring nutrient rich bold flavors to life. With this bold expansion, Bolay is actively looking for Operating Partners to join the movement and run future stores. “The Bolay Way” is a way of life fueled by incredible food and a vibrant culture, and Bolay is looking for high energy and committed talent to join the team. To apply, please visit TeamBolay.com. Bolay will be open seven days a week – 11am-9:30pm Monday-Saturday and 11am-9pm on Sundays - and will reveal grand opening plans as the date approaches. For more info, please visit www.bolay.com and follow the bold journey on social media. 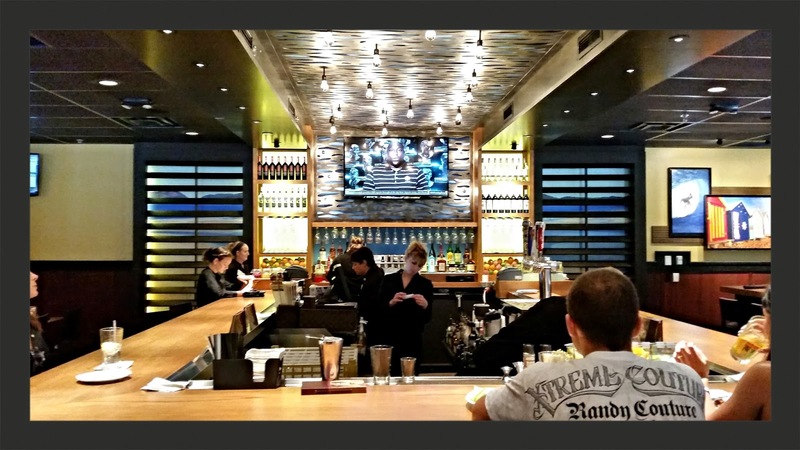 Bolay takes a fast casual approach to fresh, bold and flavorful food that invigorates the palate. The restaurant invites diners to build bowls for lunch and dinner, packed with nutrient rich superfoods and tasty proteins. With ingredients that uniquely customize bold, innovative flavors, including gluten free selections, Bolay innovates the build your own bowl experience. To learn more about Bolay, please visit www.eatbolay.com, ‘Like’ Bolay on Facebook, or follow @EatBolay on Instagram and Twitter. Outback Steakhouse is the latest restaurant to open its doors at the all new I Drive 360 complex at the Orlando Eye. If you recall back in May, I wrote about Yard House being the first to open at this location along with some more details about the I-Drive 360 attraction. You can click HERE to find out more. In keeping with the direction of the new tourist friendly stop on International Drive, this Outback features a “Modern Australia” building design on the inside and the outside that is the first of its kind. The design of this location was based on the regional geography of Australia. The idea is to give guests the sense of adventure that being down under brings, as well as to reflect the leisure of modern day Australia. Along with the new modern Australia design is a pretty modern and cool outdoor dining patio area that wraps around the building. The area has plenty of seating and there are fans outside as well to help keep you cool. Guests will enjoy a more spacious bar area that includes a community table with customized seating and furnishings, vibrant colors and connects directly to the outdoor dining patio. 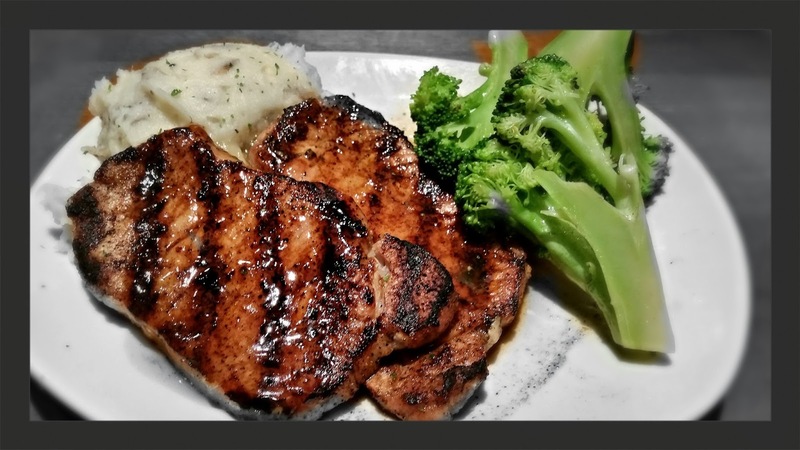 I got to try the Maple Mustard Glazed Pork Chops during a preview and training session. I must admit, they were pretty good and packed with flavor. My dining companion went Surf and Turf with the Outback Special and Shrimp Combo. 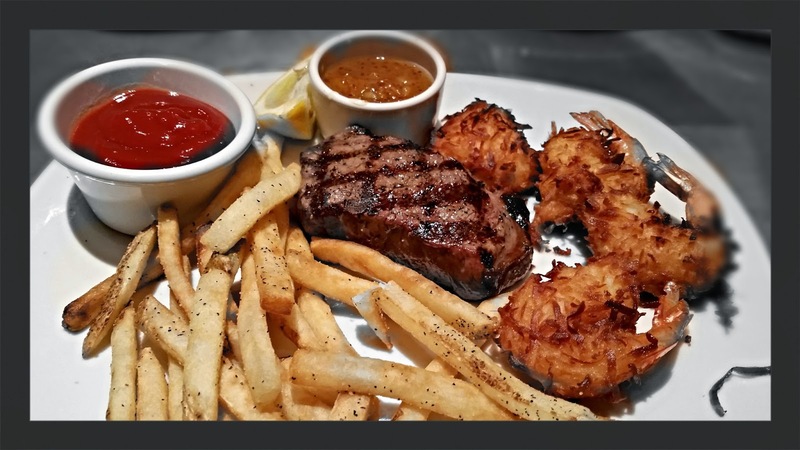 The steak was cooked perfectly and the Coconut Shrimp were a tad sweet, but very good as well. 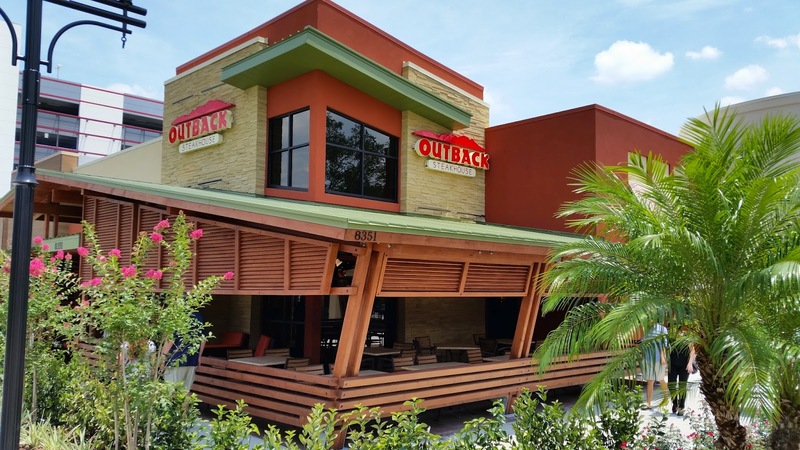 The new Orlando Outback Steakhouse at I-Drive 360 is open from 11 a.m. to 11 p.m., Sunday through Thursday and 11 a.m. to midnight on Friday and Saturday. As with all Outback locations, Call-ahead seating is available by calling the restaurant at 407-351-5482. For on-the-go guests, Curbside Takeaway is available by calling the restaurant or placing your order online.